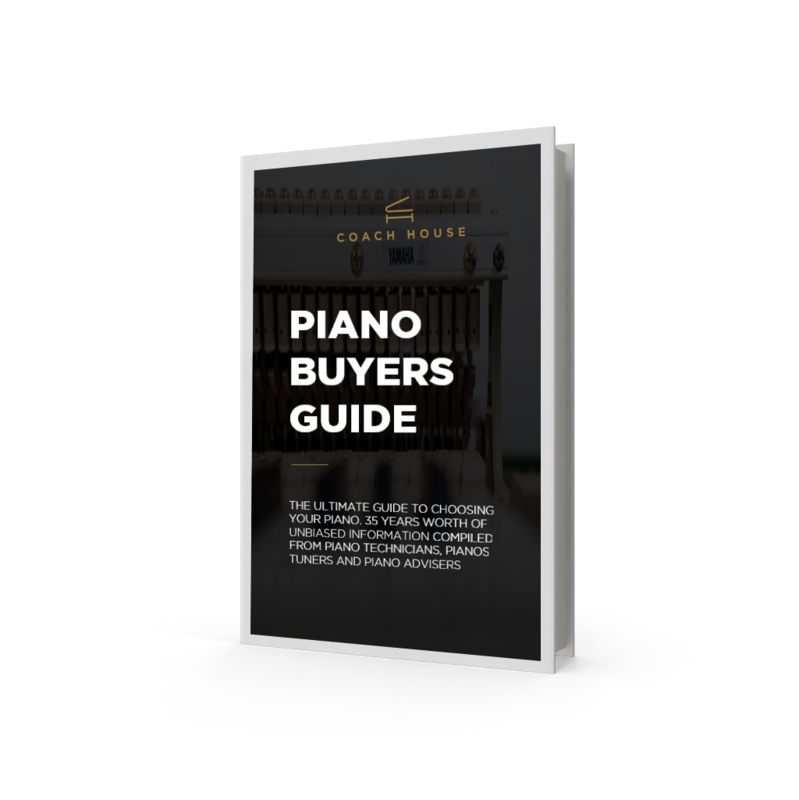 If so, we hope you find this Coach House guide to Selling your Steinway useful. Based on common queries, we’ve outlined some honest advice on the advantages and disadvantages of each option to sell your used piano based on our 35+ years of experience in the industry. I know people are after used Steinway pianos for sale in the UK, but how do I reach them? Getting in touch with a reputable piano dealer. I want to sell my piano near me, how do I do this? It is normally cheap and quick to advertise in local papers, on a notice board or on websites such as Gumtree. But in our experience, this is not a very effective method. I’ve heard that eBay UK is a popular platform for pianos for sale, is this true? Again, eBay is a cheap and easy method to advertise and you are likely to attract lots of interest. However, there are some pitfalls to be mindful of. You are unlikely to be successful in gaining a fair sale based on the real value of your Steinway piano on eBay – people on eBay want things cheap. Are second-hand pianos wanted at auction? This really depends on the people and the day. Like a real-life version of eBay, you can set a reserve price at auction as a safety net to ensure your piano isn’t sold at a cheaper price than you have agreed. Is this worth the hassle of taking your piano to an auction house though? There will be considerable transport costs to get your piano to auction and potentially an additional cost to take it home if it doesn’t sell. Moving your piano can result in damage to the instrument and there can be arguments as to where the damage was acquired – at the auction house or by removal company. Do Steinway dealers buy used pianos? If you are wondering ‘how much is my Steinway worth?’, then getting in touch with a reputable used Steinway dealer is a very good option. When considering a Steinway specialist, look for one with a solid reputation that has expert knowledge, as this means you will be given a fair and realistic valuation for your Steinway. There are no real disadvantages to selling your piano this way. At Coach House Pianos we are constantly seeking out high-quality stock to fill our popular piano showrooms in Swansea. A family-run business spanning two generations, Coach House offers over 35-years’ experience. We provide a combination of classic customer service and 21st century marketing techniques, making us market-leaders within the piano industry. Buying second-hand Steinways is one of our passions and we can offer you a free valuation service and arrange collection from your home, making it a stress-free and simple experience. By getting in touch with Coach House Pianos there is no need to spend hours of time researching pricing, advertise the instrument on websites or arrange removal of the piano yourself. Simply provide us with a few details and we take care of the rest. With so many years’ experience in the piano industry we have helped thousands of people sell their Steinways. Thank you so much for the excellent service I received from Coach House Pianos. Having made the difficult decision to sell our Steinway piano I then found it very hard to find someone who would offer what I felt was a fair price. I was lucky that a friend suggested I contact you and I was delighted to receive a very fair price. You made the logistics of collecting the piano very easy, which was extremely helpful with me living in Kent and the piano being in Sheffield! The gentlemen who collected the piano were also very helpful. It has been a pleasure to deal with a such a professional company. Submit your details today and Coach House Pianos will respond within 24 business hours to confirm how we can assist in the sale of your Steinway.